Greetings! After exploring Malta in September 2017 and leading 4 academic groups to Italy梐nd having visited it many times桵ary and I are excited to offer for the first time a new, handcrafted adult "study" trip entitled Following Paul from Shipwreck on Malta to Martyrdom in Rome. 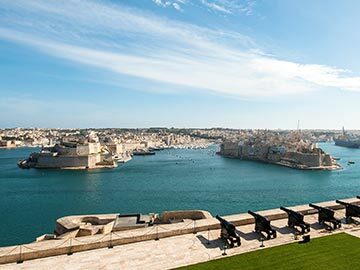 We begin our tour on Malta where we will explore the bays where the shipwreck of Paul may have occured as well as the Island of Malta. Then, just as Paul left Malta, we will ferry to Syracuse on Sicily. On our way north to Pompeii, we will visit the UNESCO World Heritage Site of Paestum where three magnificent Greek temples are still standing. 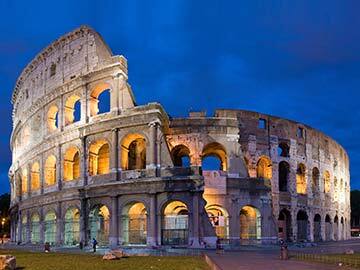 We will visit the well杙reserved remains of the Roman towns of Pompeii and Herculanaeum (both UNESCO World Heritage Sites) that were destroyed by the eruption of the volcano Vesuvius in AD 79. They have a lot to teach us about life in New Testament times! After exploring Puteoli where Paul landed (Acts 28:13), we will head to Rome. There Paul was imprisoned twice, and eventually martyred (as was Peter). We will spend four days exploring the wonderful archaeological and traditional sites of the city梥ee the details below. I will be giving mini-lectures along the way both on the bus and on the sites, drawing from my studies and from the numerous times we have visited the area. We will relate what we are seeing to the New Testament and the Early Christian Church. Thus, this is not a mere tour, but a hands on experience as we study the New Testament and its Greco Roman background together! � City taxes in Malta, and Italy. cost is �1,50 per one-way ticket. � Other services not included above.